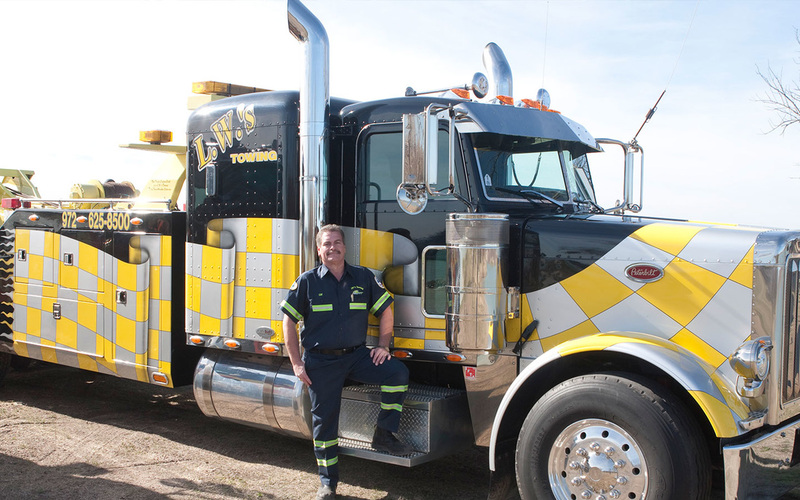 LW's Towing takes great pride in our professional, superior customer service. Below are our most common services. In most cases, we will be on site within 30 minutes of being notified of a need for towing. Call (972) 625-8500, or submit the tow request above to receive service. Light Duty: We use only the best in tow truck technology and equipment to tow your vehicle. At a minimum, your vehicle will receive the privilege of riding on one of our state of the art flatbed trucks. Medium and Heavy Duty: With over 30 years of experience in medium duty and heavy duty towing, we understand that your focus is on getting your driver and truck back on the road. That is why we work directly with dispatchers to expedite that process. Low Boy Services: For the need to move over-sized vehicles to rental yards or constructions companies - such as Buses, Dump Trucks, or Air crafts - we have right Low Boy Trailer for your needs. Ditch Recovery: We handle all forms of ditch recovery. We handle light duty ditch recovery, heavy duty ditch recovery, and we also have the ability to pull you out of those extreme cases as well. 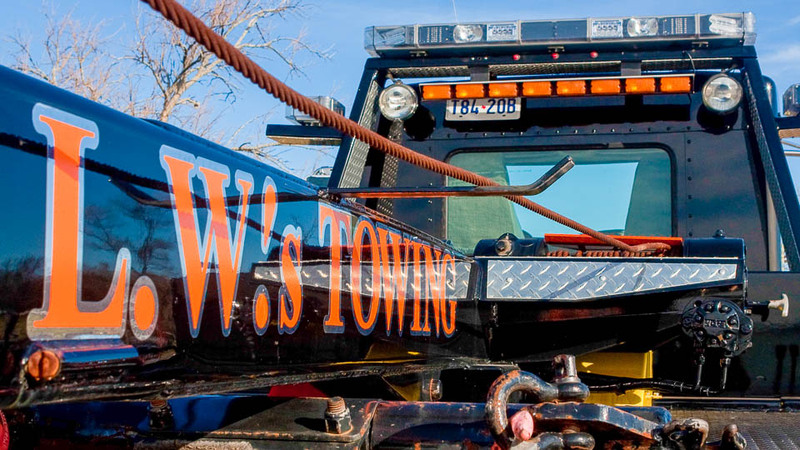 Long Distance: While most of our services are dedicated to short distance emergency tows, we are also able to provide you long distance towing should your needs require it. You will receive our best truck available for your long distance towing needs. 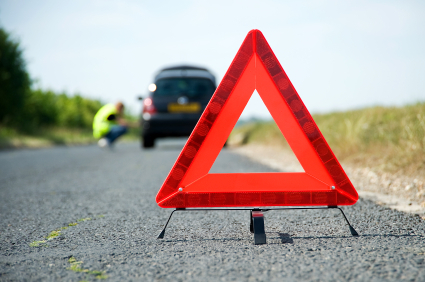 Roadside Assistance: Our staff is trained, and trained well, in the matter of everyday roadside emergencies. We will be there to help should you need your tire changed, lock your self out of the car, or need a quick jump start to make it to the auto-parts store. Vehicle Storage: Our storage facility features closed circuit 24 hr recorded and manned surveillance. We are bonded, insured, and offer inside storage as well, if needed. Vehicle Auctions: Roughly once a month we will hold an on-line vehicle auction. For more information on this visit our Auctions page. Abandoned Nuisance Vehicle Removal: We do offer free removal of abandoned vehicles. No title is required. We will be on site within 30 minutes of notification of an abandoned or illegally parked vehicle on your lot in most cases. Vehicle Purchasing: If you have an older vehicle to sell, running or not, we will be more than happy to make an offer. In some cases the title may not be required. Vehicle Trailer On-load and Off-load: We offer low profile vehicle trailer off-loading and on-loading. We will only use our very best state of the art equipment to handle your precious cargo. If there is anything you have a question about, give us a call or contact us. If you are an entity that requires frequent tow services please call us, or fill out our online form, and we will get back you within 24 hrs. ★★★★★ ​When the owner of a company donates an expensive part to fix your truck then only asks that you pay it forward to return the kindness, then you know what kind of business you're dealing with. ﻿★★★★★ ​I have trusted these guys when my wife's car was totaled and now they have helped me when I was in need. Great guys who really helped me out. ​﻿★★★★★ ​Fast and affordable service, quality equipment, professional employees! Will be using this company again! ​﻿★★★★★ We are in the transportation business and can't have any of our Vehicles down and out. LW's Towing is a reliable Towing Service we've used for all size vehicles we have, including Stretch Limos. Larry and his staff are friendly and professional, which is important to us when we have car issues while we are out on a Run. Thanks Larry for taking great care of our Fleet! Copyright © 2016. All Rights Reserved. LW's Towing. Please give the make, model, and/or color of your vehicle, along with a description to help us find you promptly. Please include details of your vehicles' location, i.e. Street Name, Intersection, City, Mile Marker, etc.